Google Nexus 7 Specifications Review and features: Do you know? 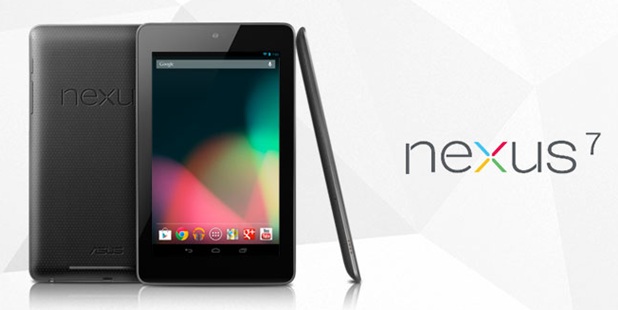 the Google Nexus 7 also known as Asus Nexus Tablet or Google Nexus Tablet. This tablet was announced last month (June, 27th 2012) and expected released Q3 2012. It has 7.00, IPS LCD capacitive touchscreen with 1280 x 800 pixels resolution,16M colors and Scratch-resistant glass / Corning Gorilla Glass features. The tablet measuring 198.5 x 120 x 10.45 mm with weight about 340 g and powered by 4325 mAh battery capacity with standby time up to 300 hours. The Google Nexus 7 comes with Quad core, 1300 MHz processor with Tegra 3 chipset and supported by NVidia GeForce 12-core GPU. For operating system or platform used Android 4.1 Jellybean with 1024 MB / 1 GB RAM. This tablet also equipped with 1.2-megapixel front-facing camera. The internal memory features of this tablet include 8 GB also available 16 GB. For connectivity this tablet used bluetooth, Wi-Fi 802.11 b, g, n, a, GPS and USB 2.0. For acces the internet in the Google Nexus 7 Tablet can use Google Chrome browser (support HTML, HTML5). More over also support for YouTube (upload) and Picasa. This tablet also support Document viewer for create and edit document. This tablet available in Black. Other specifications and features for Asus Nexus Tablet such as Music ringtones (MP3), Polyphonic ringtones, Vibration, Flight mode, Silent mode, Speakerphone, Calendar, Alarm, calculator, email (IMAP, POP3, SMTP, Microsoft Exchange), Google Wallet, SNS integration, MP4/DivX/Xvid/H.264/H.263/WMV player, MP3/WAV/eAAC+/WMA player, Organizer, Image/video editor, Google Search, Maps, and Gmail.